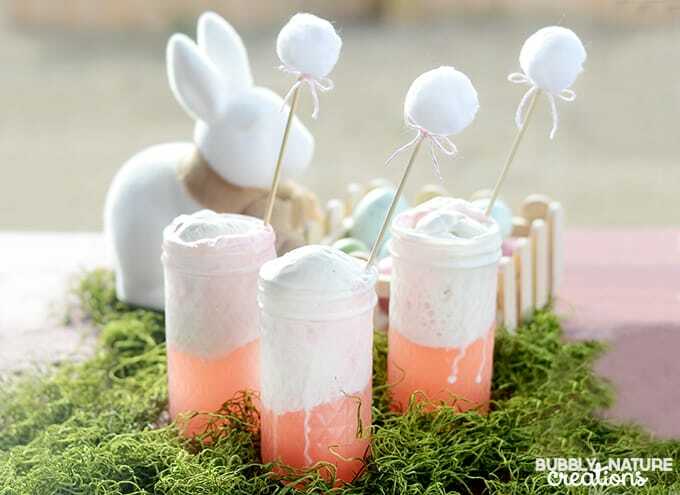 Bunny Punch with Bunny Tail Stirrers! This post contains affiliate links that help support the maintenance of this site. You do not pay any extra to follow these links, but we do earn a percentage from any purchase. We appreciate your continued support! My favorite animal as a little girl was actually a bunny for a while. I had bunny themed everything. Maybe that is why I love Easter so much! 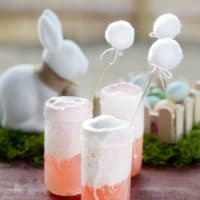 I spotted these cute Bunny Tail Drink Stirrers over at Pizzazzerie and knew that I had to make some! They are SOOO cute in the Bunny Punch! 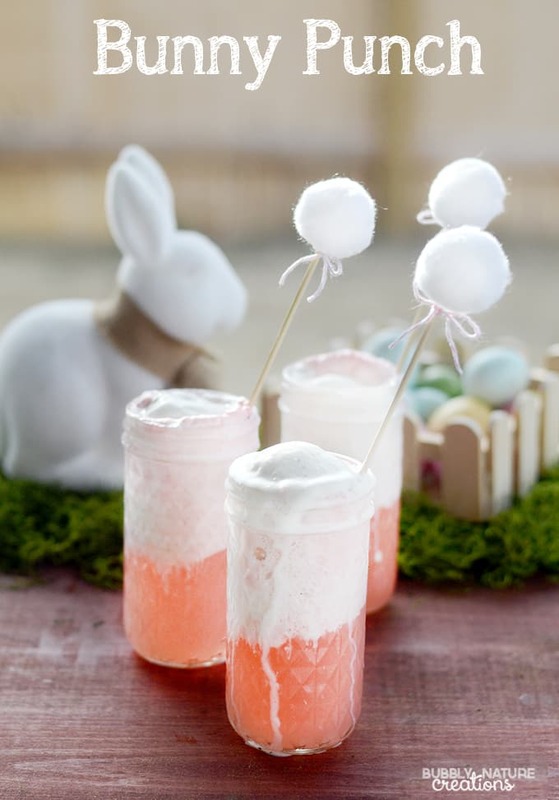 The Bunny Punch is so easy to make and you can make it for a crowd or just make it for a few… it’s up to you! This Punch is SOOO good and SO cute! Pour Cherry 7UP in cup about halfway- do not fill it up any higher or it will spill over. Squirt the Kool Aid Liquid once into the cup and stir. 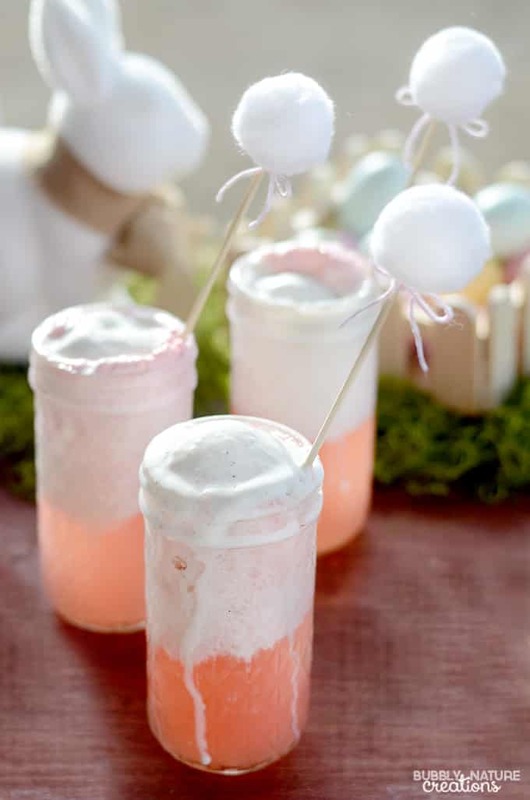 Add a scoop of ice cream and then add a Bunny Tail Stirrer if desired! To make a punch bowl full just add the Cherry 7UP halfway in the punch bowl and add 5 squirts of the Kool Aid Liquid to the bowl. Add the Ice Cream on top to cover the top. Serve and enjoy!